The therapeutic riding of a horse provides a 3-dimensional movement that mimics the human walking gait - movement that is difficult to duplicate in a clinical setting. 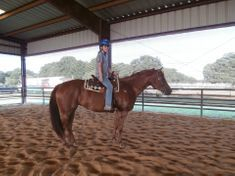 Therapeutic driving is unique in that it offers people who cannot ride, or choose not to ride, the opportunity to participate in an equine activity. Driving provides all the benefits of riding but also utilizes to a greater degree hand/eye coordination and spatial awareness.